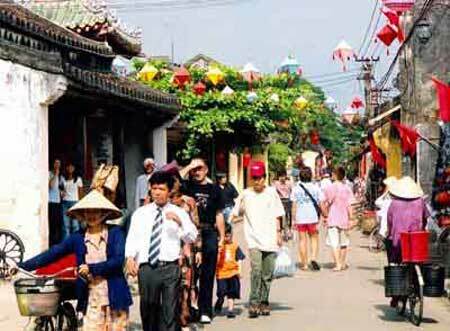 VietNamNet Bridge – The high airfare is a major barrier preventing tourists from northern provinces to the Mekong Delta, according to experts at a conference introducing the delta’s new products and travel stimulus program in Hanoi last Thursday. The Mekong Delta is regarded as a region with open space, beautiful landscapes, good-quality services and especially service fees normally unchanged during the peak time of holidays. However, according to travel firms, the airfare currently accounts for two-thirds of the tour price in the region. Dinh Hieu Nghia from Can Tho Tourist Joint Stock Company (Canthotourist) said that when Vietnam Airlines opened the Hanoi-Can Tho air service, the firm welcomed a large number of tourists from northern provinces, accounting for some 30% of the number of domestic tourists to Can Tho City. Nevertheless, the airfare has affected the firm’s customers. “The airfare has gone up much in recent times, by up to 20-30%, resulting in a strong decline in the number of passengers flying between Hanoi and Can Tho. Currently, the number of tourists from the northern region accounts for only 10-15% of Canthotourist’s total number of domestic tourists,” Nghia said. Meanwhile, according to Nguyen Khanh Tung, director of the Can Tho Investment, Trade and Tourism Promotion Center, studies have showed that the two-day tour to Can Tho departing from Danang by bus costs half of the one by air. Traveling by air only helps tourists save time and offer other convenience. Vietnam Airlines is currently the sole carrier to operate flights connecting the northern region with Can Tho City. Therefore, travel firms expect Vietnam Airlines to offer discounts on this air service as well as open the Danang-Can Tho route.